Pikachu Plush Toy Just $14.99! Down From $30! Shipped! 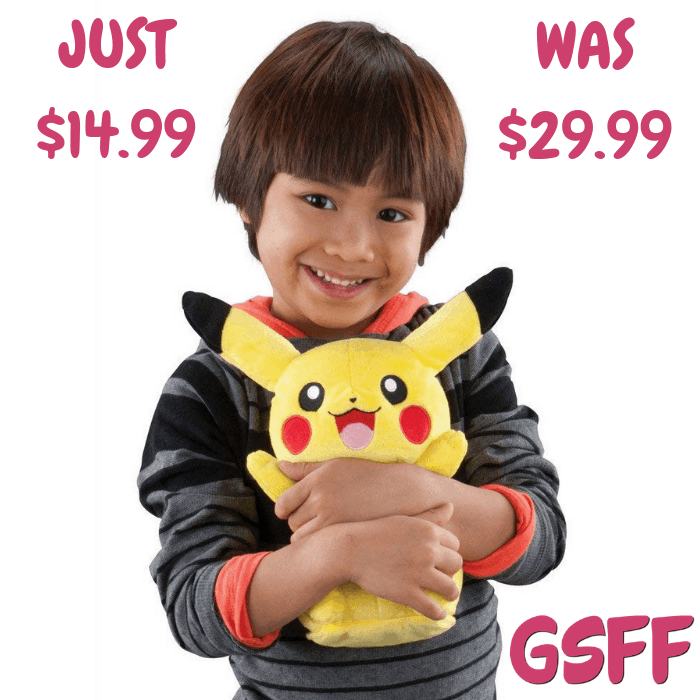 You are here: Home / Great Deals / Amazon Deals / Pikachu Plush Toy Just $14.99! Down From $30! Shipped! Head over to Amazon to score this Pikachu Plush Toy for just $14.99 down from $29.99 PLUS FREE shipping! Become Pikachu’s Trainer with the lovable My Friend Pikachu plush! My Friend Pikachu laughs and talks! Pikachu is 10 inches high with a soft yellow fabric that is easy to cuddle with. Pikachu has adorable red cheeks that light up and features over 10 fun sounds and phrases! Press Pikachu’s belly to make its ears move, its cheeks light up and to hear one of Pikachu’s signature phrases from the show! Suitable for ages 3 years and up. Features out 10 sounds and phrases! Press Pikachu’s belly to make the ears move, cheeks light up and to hear one of Pikachu’s signature phrases!